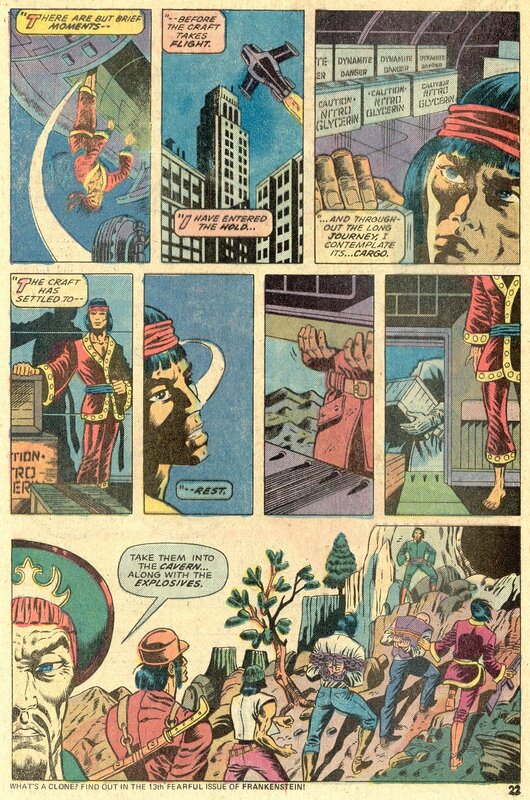 Hi-YA, Groove-ophiles! 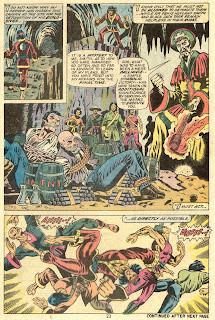 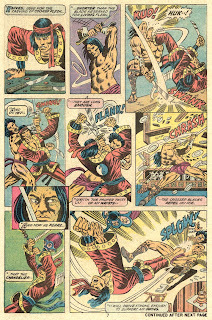 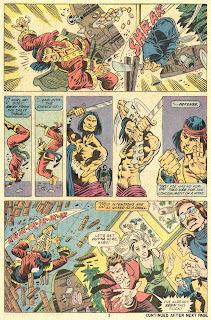 What say we kick this week off with a classic Master of Kung Fu masterpiece by MOKF Team-o Supreme-o Doug Moench, Paul Gulacy, and Dan Adkins? 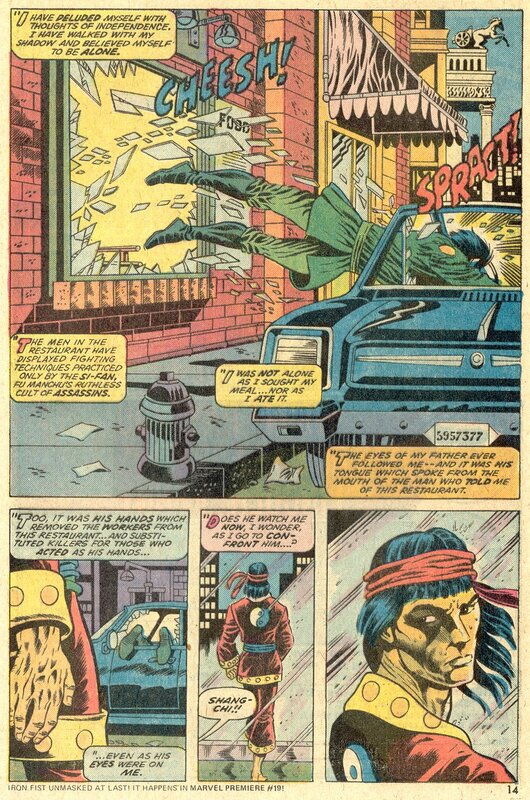 Yeah, Ol' Groove thought that would hit ya where ya live! 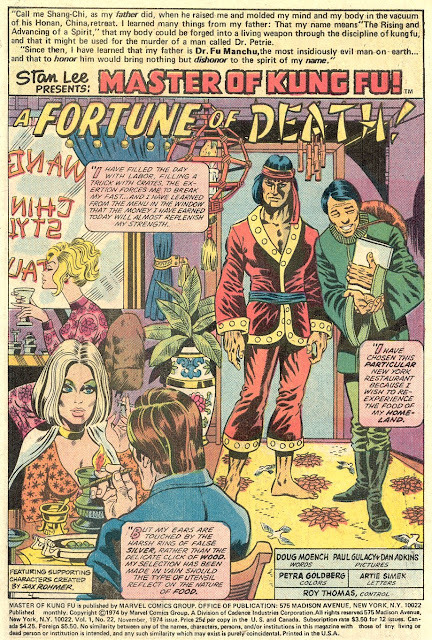 "A Fortune of Death!" 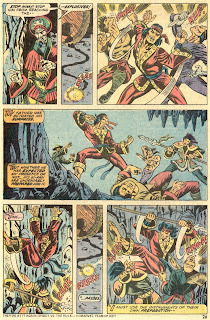 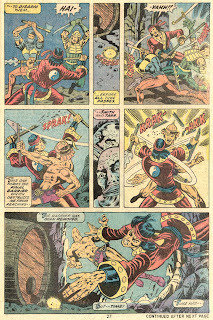 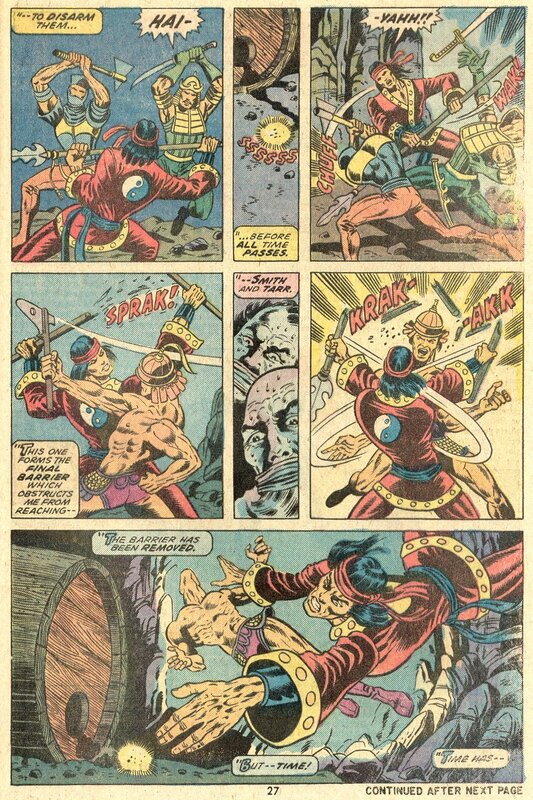 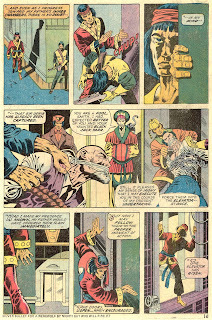 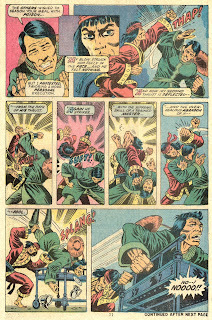 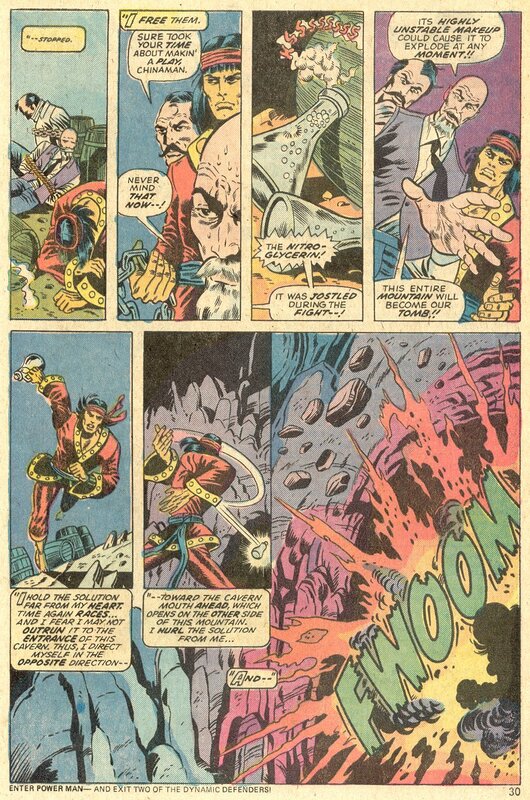 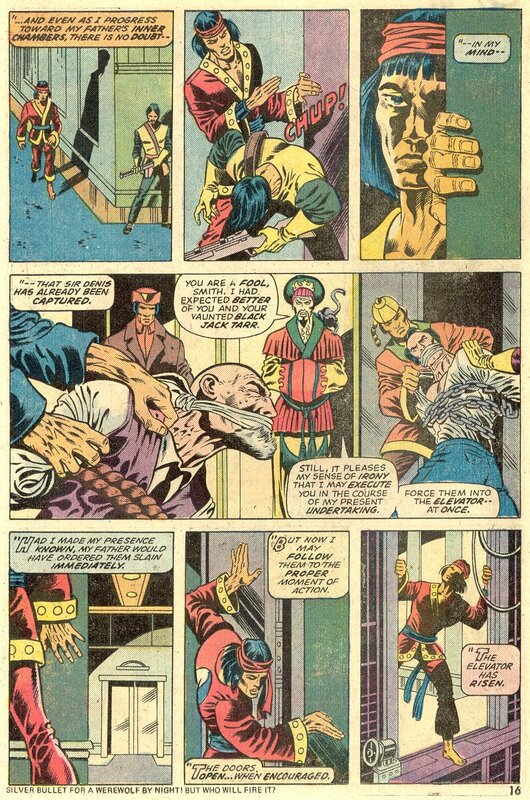 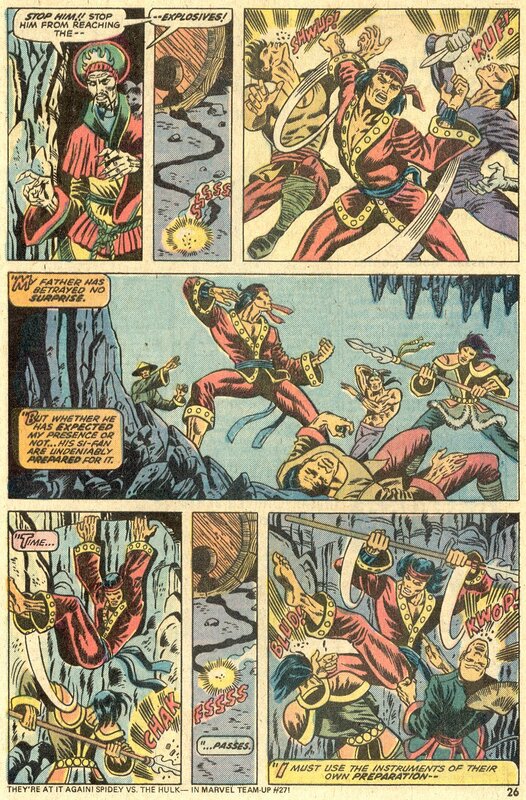 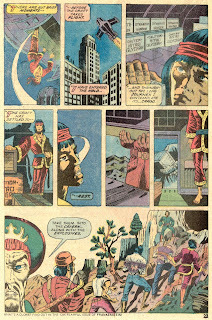 from MOKF #22 (August 1974) features flying fist-fulls of all the ingredients that made Shang Chi's adventures so far out: action, intrigue, mature characterization, philosophy, daring rescues, high-stakes adventure, and, of course, gorgeous, cinematic art. 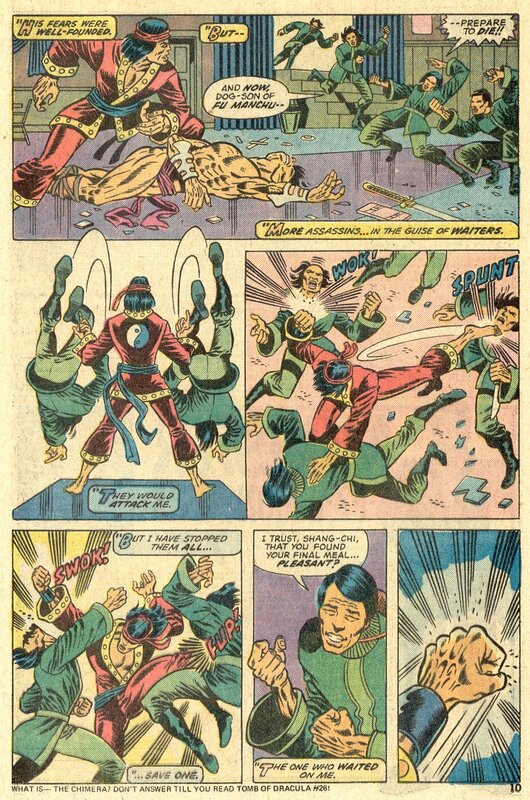 See for yourself, Grasshopper! there is nothing like those old Gulacy comics. they certainly, even in small size, are far more kinetic than most anything being published today! 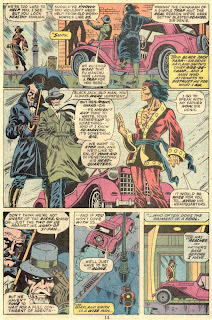 Gorgeous, cinematic art is damn right, groove me old chum! 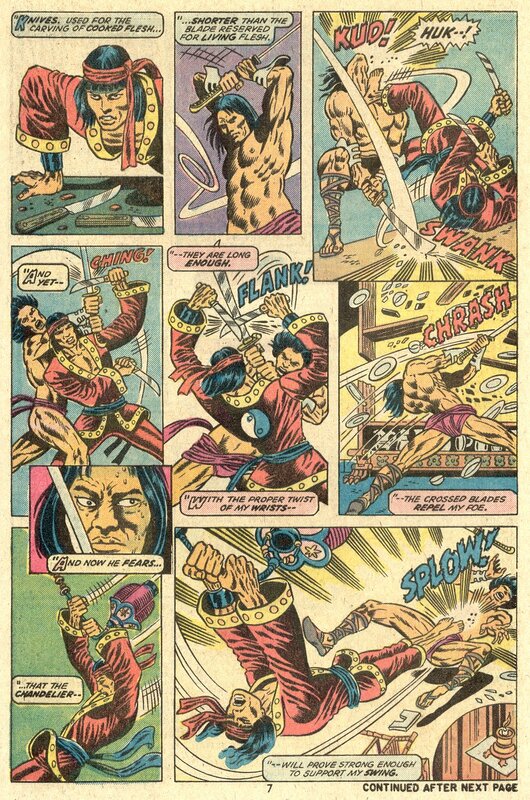 I have all the Gulacy Shang Chi issues and bloody good they are too, way ahead of their time in my opinion (just like Steranko's Shield!). The pairing with Dan Adkins was inspired so its a shame that they couldn't continue the whole run together. 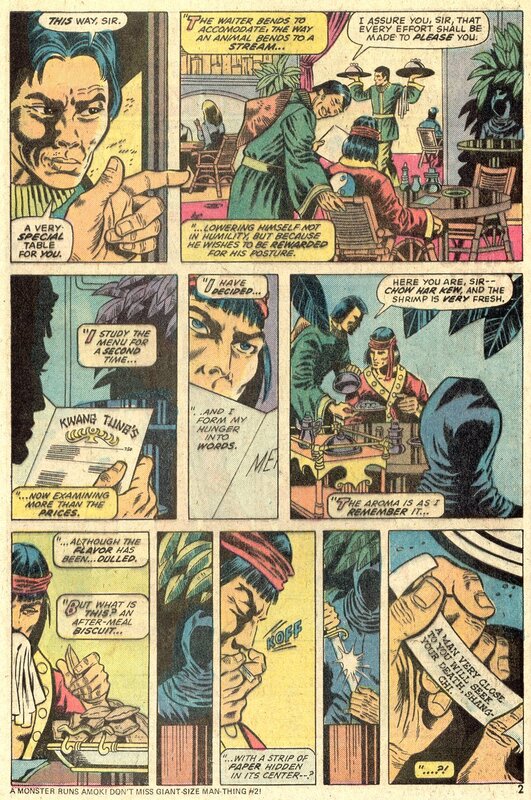 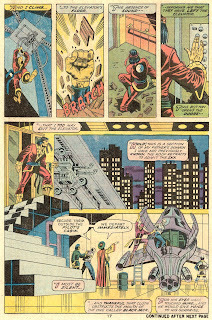 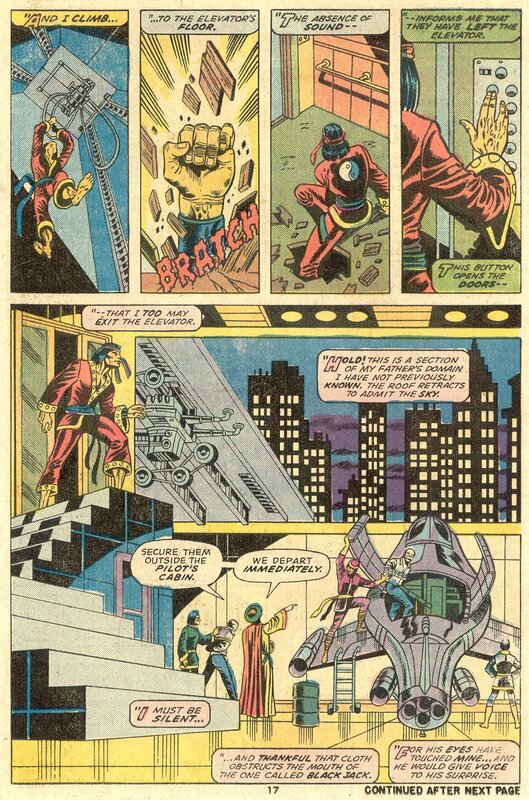 I read in an interview that Gulacy was round at Mr Adkins house drawing some pages when Jim Steranko popped by and even inked a few panels though I'm not sure which issue this was - great story though! 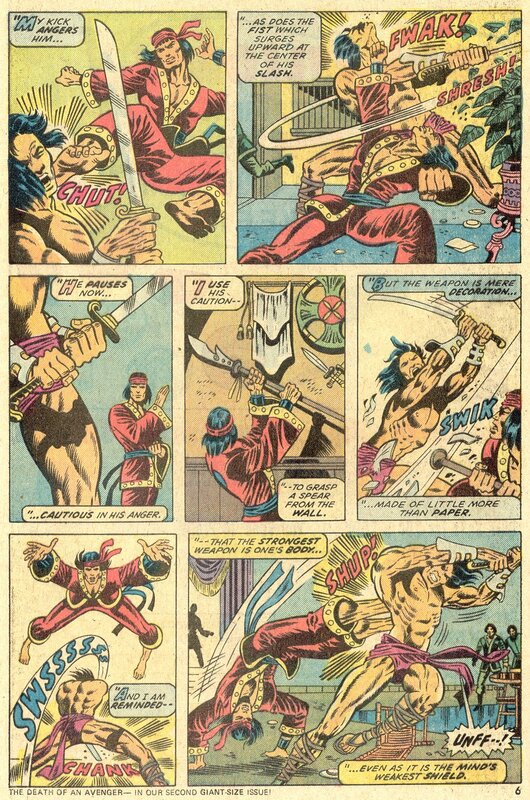 Gotta love Shangi Chi! Gulacy blew us all away! 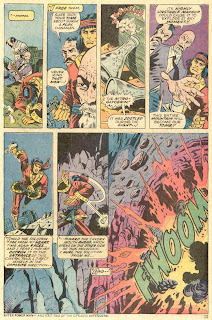 He was like the second coming of Steranko! 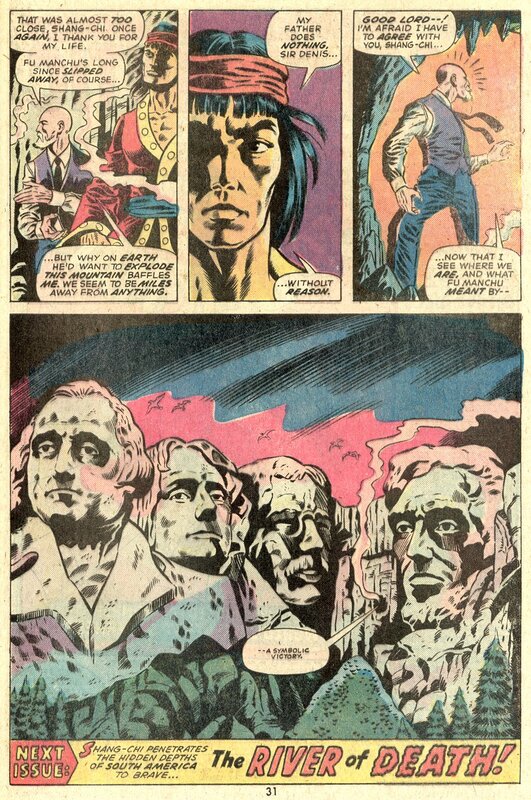 I just wish Gulacy would had done a Morbius series as well. Or worked on Vampire Tales atleast. 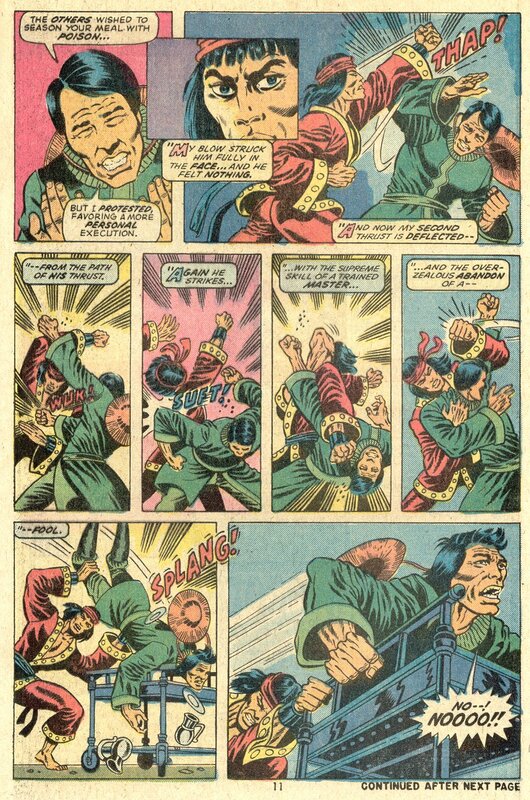 I totally agree with you Groovy one & what Richard said 200%!! 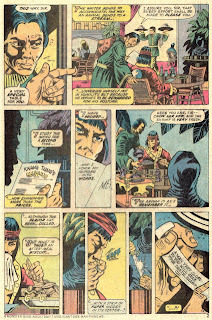 I also would had loved to see Gulacy draw Capt.Americ & the Hulk too! 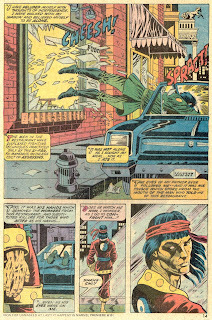 I'm always amused that Shangi-Chi wore his pajamas in New York and the awful color they made Asians. 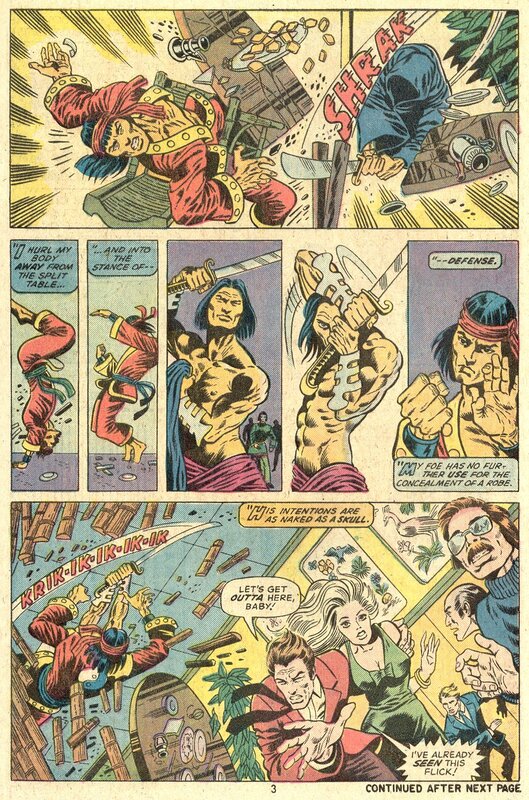 It's as if no one had actually seen a real Asian person.